With every spare minute taken up with exciting family researching this week… reflecting and writing a “Thoughtful Thursday” post was not “in the running” but then a Facebook post yesterday changed all that. The little girl inside me kept stamping her tiny foot, whining and demanding to know “Why?… is that really true?” She refused to be hushed and kept reminding me of the claim we investigated that margarine was originally manufactured to fatten turkeys and when it killed the turkeys it was adapted to feed to humans. That was proven to be an absolute nonsense, a myth… would this latest allegation prove to be the same? I had to know… we had to know. It’s the post below which sent me off on a tangent. “This one started out as one of those widely-circulated emails that described somebody’s granddaughter’s science fair experiment. One plant was watered with water that had been boiled on a stovetop, the other with water that had been boiled in the microwave. 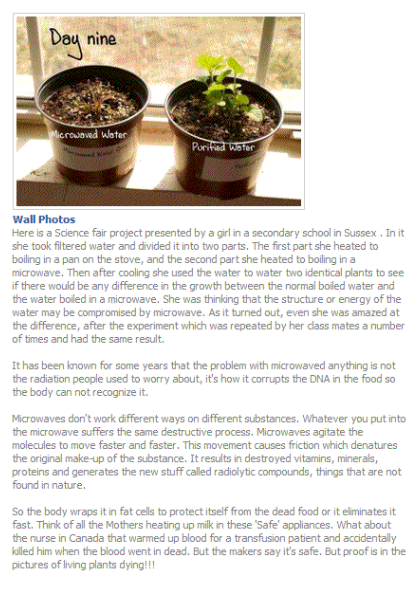 The accompanying photos supposedly show the gradual demise of the plant watered with the microwaved water. “One of the strongest anti-microwave voices on the web is Joseph Mercola, an Illinois-based alternative physician who runs www.mercola.com. Mercola.com has been recycling and adding to an article about the “proven dangers of microwaves” since at least 1994. By 2010, the Mercola spiel had incorporated just about every microwave myth known to the internet. You can read more about Mercoli’s claims, and the debunking of them, by clicking HERE. Well… there you have it. My little girl is satisfied and I happily choose to believe that my use of the microwave, over the past 30+ years, has not damaged the health any of my precious children and I’m certainly going to go on using my WONDERFUL Microwave/ Convection Oven. 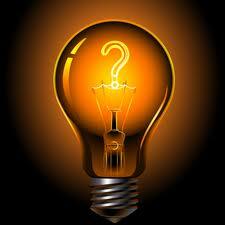 I wonder what others think?… Back to my research now and other pressing matters. Thinking… navel gazing… reflecting… call it what you like. I love it! * It’s a wig- wam for a goose’s bridle. * That’s for me to know and you wonder about. As this blog is a legacy for my descendants, I’ve decided to start up “Thoughtful Thursday” posts to share some of the thoughts which have engaged me. Maybe other readers will enjoy them too and may have had similar thoughts? “Pass The Butter … Please. This is interesting . .. . It was a white substance with no food appeal so they added the yellow colouring and sold it to people to use in place of butter. How do you like it? They have come out with some clever new flavourings…. Butter has many nutritional benefits where margarine has a few and only because they are added! * Very High in Trans fatty acids. * Increases the risk of cancers up to five times..
And here’s the most disturbing fact… HERE IS THE PART THAT IS VERY INTERESTING! Margarine is but ONE MOLECULE away from being PLASTIC… and shares 27 ingredients with PAINT. * it does not rot or smell differently because it has no nutritional value ; nothing will grow on it. 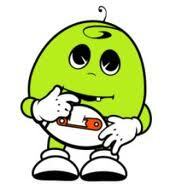 Even those teeny weeny microorganisms will not a find a home to grow. Why? Because it is nearly plastic . Would you melt your Tupperware and spread that on your toast? Share This With Your Friends…..(If you want to butter them up’)! Well, in the blink of an eye three people clicked *like* in support of the leading comment… “No more marg in this house”… and the article itself. Replacing saturated fat with unsaturated fats helps reduce your risk of heart attack and stroke. One of the main ways to do this is replacing butter with margarine and healthy oils. However, there are a lot of myths about margarine that we frequently get asked about. This claim has been circulating on the internet since at least 2003. Plastic is a polymer, made up of a long chain of repeated smaller molecules. Plastics are usually made from crude oil and natural gas, but can be made from natural materials such as wood, corn, plants, and even sugars. In fact, one of the earliest plastics made in the 1800’s was from milk. So whilst both plastic and margarine can be made from vegetable oil, that is where any similarity ends. The claim is nonsensical – adding one molecule to margarine won’t turn it into plastic. Even if it were true, it’s worth considering that one molecule can make a world of difference. Many natural substances are very similar in chemical composition but very different in appearance and effect. One molecule, and more importantly how the molecules are arranged, makes a huge difference to the end product. Take for example the difference between hydrogen peroxide (bleach) and water, which have only one atom difference. Not true! Margarine was originally developed in 1869 in response to a request by Napoleon III for a viable, low-cost substitute for butter. It was developed for humans, and not for turkeys. 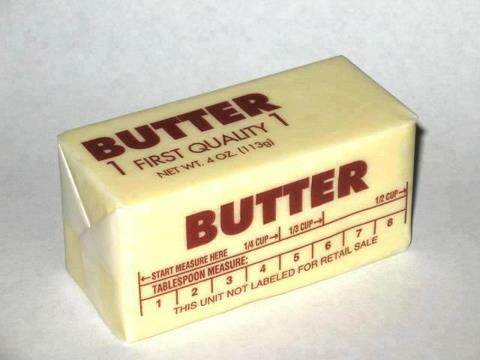 The first margarine was made by combining salty water, milk, and margaric acid to softened beef fat. Beef fat was subsequently replaced with vegetable oils. This claim relates to a study conducted in the United States in the 1980s. At that time, margarines in the US contained up to 29% trans fat. We now know that trans fat has an adverse effect on cholesterol levels, even more so than saturated fat. So what this study was really observing was the effect of trans fat on heart health, rather than the effect of margarine itself. Levels of trans fat in margarines in New Zealand have always been far lower than those in the United States, and changes in production methods mean most are under 2% trans fat. 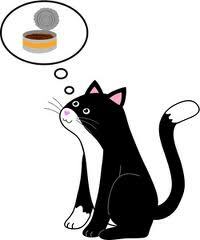 Margarine spreads carrying the Tick have been independently tested and contain less than 1% trans fat. After all that “heavy stuff”, I finished off with a bit of fun with the English National Ballet. Just click on the link below. Hoping your week was wonderful… Cheers, Catherine. Thinking… navel gazing… reflecting… call it what you will, I love it! As this blog is my legacy to my descendants, I’ve decided to start up “Thoughtful Thursday” posts to share some of the thoughts which have engaged me. Maybe other readers will enjoy them too and maybe had similar thoughts? Apologies for being so slow off the mark this week. Be assured that it’s not because I’ve not been having “thoughts” but that maybe my brain has got a bit over- loaded with too much thinking 😀 … NOT REALLY, I’ve just been consumed with heaps of very re-warding family history research. 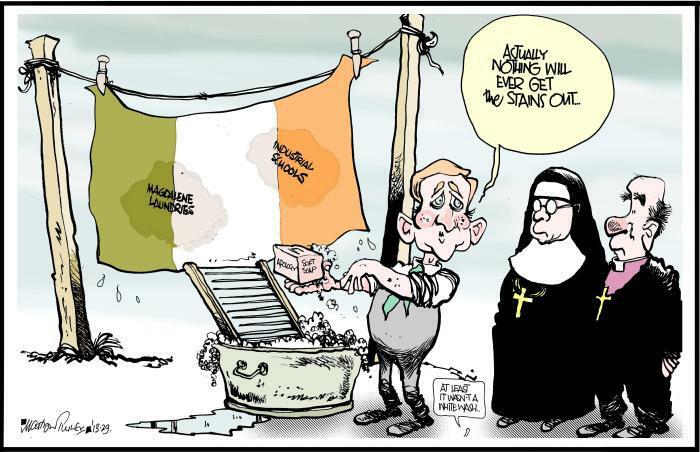 A haunting issue for me, for the past couple of weeks, has been the matter of “The Magdalene Laundries”. I first read, in the “Irish Central”, about how Irish girls/women were incarcerated in Convents and became unpaid slaves. Many died there. Of course it wasn’t just in Ireland that this abuse was being perpetrated but as far as the reaches of the Catholic Church… and that is worldwide. I think that what horrified me most of all was to discover that “The Pines” convent, here in South Australia, was a Magdalene Laundry. I’d driven past is so often and thought of it as such a beautiful, calm and caring place. The abuse only ended there when the “laundry” was shut down in the mid 1970’s. The last, in Ireland, was closed in 1995… so this is not Ancient History. 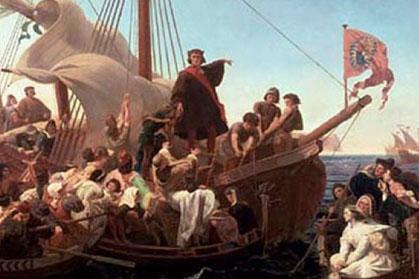 Finally, my Irish heart loves this story about how an Irishman influenced Columbus to take his voyage and discover America. 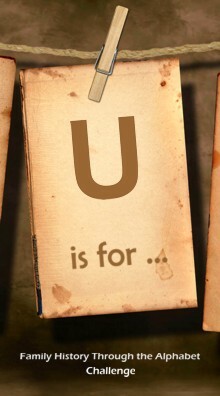 Uu is for – Unbelievable that my Uu post disappeared. 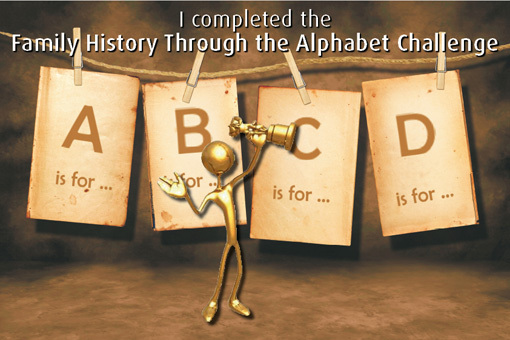 It sure is almost Unbelievable that my “Uu is for – Underground Mutton“, for the Gould Family History Through the Alphabet challenge, has disappeared. 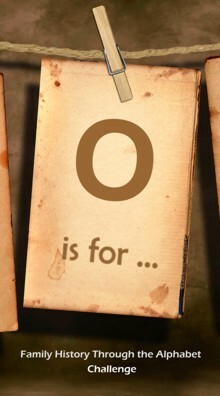 Seems it has flown off into the blogosphere and may never come back again. Hopefully it will fly back … and I’ll be able to repost my memories of the sounds of “Rabbeto” echoing down my street back in the late 1940’s. However, in the meantime I’ll share this video of Gladys Bond, at the age of 100, describing her rememberings of Underground Mutton/Rabbits in South Australia, way back then. Also have to share this fun poem I found on the Camp Oven Cooking and Camping in Australia Chat Boards from “Furphy”. Reckon that Furphy should have had a “chinwag” with my mum, or consulted the South Australian “Green and Gold Cookery Book” advising that rabbit/underground mutton should be soaked in salt water or other concotions to reduced the strong “gamey taste”. In closing I’ll share my mum’s yummeee recipe for Curried Rabbit from the “Green & Gold”, Page 40, Thirsty First Edition. 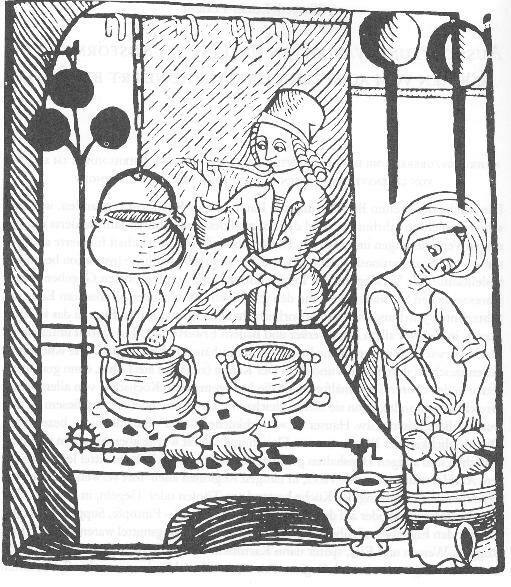 Fry two sliced onions until brown in one tablespoonful full of hot dripping; peel, core and grate one apple and add to onion; mix one tablespoon of curry powder with with two cups of water; add one quarter teaspoon of salt; add to and boil with onion and apple; chop one tablespoon of stoned raisins and add when the curry is boiling with one rabbit cut into neat joints. Simmer gently for two hours; and 10 minutes before serving add one tablespoon of flour and the strained juice of half a lemon. 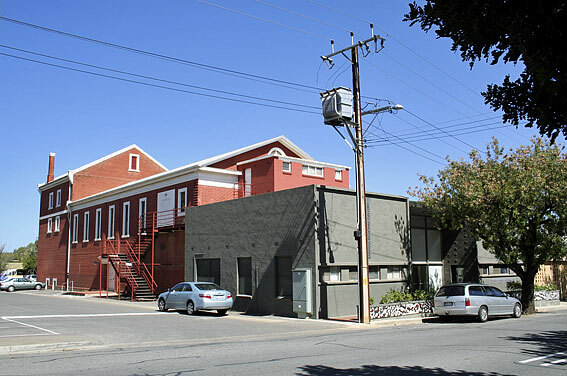 – S.R.Smith Congregational Manse, Kadina, South Ausralia. Here I am, a South Ozzie girl, with the Highlands of Scotland pulsating through my veins. 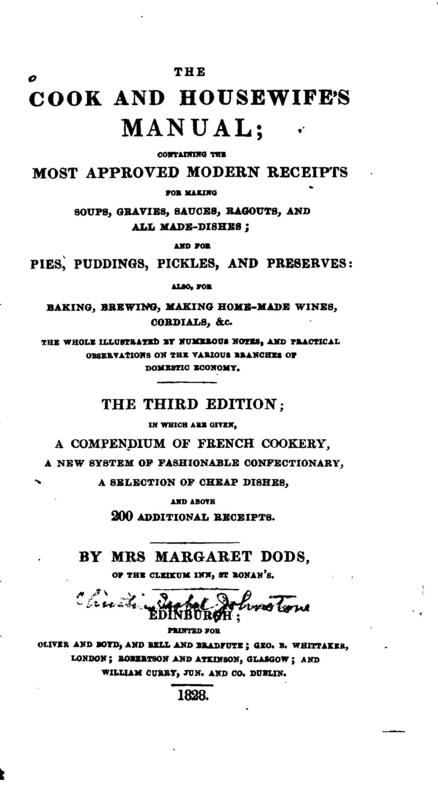 It’s always a delight to learn anything, at all, about my Scottish Ancestors and this “Family History Through the Alphabet” post is focussing on Scottish recipes from the year 1828. I have no idea whether any of my Ancestors actually cooked and/ or ate these foods, but they fascinate me, non-the-less. Skin the birds; cut out the back bones season them with pepper and salt. Lay a beef-steak in the bottom of the dish, and put a good deal of thickened melted butter over the birds. Cover with a common crust. A quarter of an hour will bake them. Mince good beef-suet, but not too finely, and mix it with about a third of its own weight of nicely toasted oatmeal. Season very highly with pepper salt and finely-shred onions. Have the skins thoroughly cleaned, and cut of equal lengths. Fill them with the ingredients, and fasten the ends with a wooden pin or small feather. Boil the puddings for an hour picking them up as they swell in the pot, to let out the air. They will keep for months in bran or oatmeal. When to be used, warm them on the gridiron, and serve very hot. Mince apples and grate biscuit; take an equal weight to those of minced mutton suet. Sweeten this with sugar and season with cinnamon and grated nutmeg. Moisten the whole with wine, or any well flavoured liquor and fill the skins, but not too full as the bread swells. Boil and serve hot. Observations – These will keep for a week or ten days, and re-warm. Another kind is made of rice boiled in milk, with suet, currants, sugar and seasonings. The suet in these puddings should not be shred too small, nor left yet in lumps. Mince a pound and a half of good mutton, and four ounces of mutton suet. Stew this in broth or with butter, and add greenpease, young onions and a little shred of lettuce. Season with salt, cayenhe, and white pepper. Heap rice round a shallow soup-dish, and serve stew in the middle. Observations. – Veal or fowl may be dressed as above. A little currie-powder may be added to the seasoning. This dish may be made of either fresh beef, or of a neck or back-ribs of mutton. Cut four pounds of meat into handsome pieces. Boil and skim this well, and add carrots and turnips sliced small leeks and parsley cut down, and some German greens finely shred, and put in only before the soup is completed. Season with pepper and salt. The quantity of vegetables must be suited to the quantity of meat so that the soup may have consistency but not be disagreeably thick. Serve the meat and soup together. Fruit pies require a light and rich crust. Fruits that have been preserved are generally baked in an open crust, and are ornamented with paste bars, basket-work, stars &c. The fruit must not be put in till the crust is baked, as the oven injures the colour of preserved things. Rhubarb Pie. – Peel off the skin from stalks of young rhubarb, and cut them into bits of about an inch and a half. Stew them slowly in sugar and water till soft, mash and make them into a covered pie or an open tart. Observations. – Fresh good cream is a very great improvement to all fruit pies and tarts. The next best thing is plain custard. In England the cream is often sweetened, thickened with with beat yolks of eggs and poured over the fruit. In Scotland cream for tart is usually served by itself, either plain or whisked. Copyright © 2012. C.A.Crout-Habel. “Seeking Susan ~ Meeting Marie ~ Finding Family. It arrived… or to be more precise, “they” arrived, bringing memories from afar. There they were sitting snugly, or maybe even smugly, inside my letter box, safely wrapped in their own cocoons, just waiting to be dis-covered. Eureka!!! … all the more of a delight for having arrived so un-expectedly. 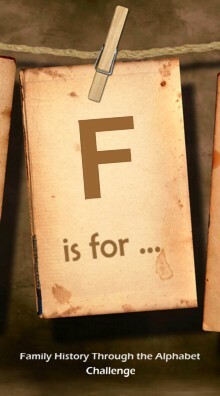 Two battered and careworn Cookery Books, the topic for this week’s Family History Through the Alphabet post – I could hardly believe my eyes. … after that moment of musical madness with our late, and great Ozzie, Heath Ledger… back to the story. Whooo Hooo!!! Amazingly no-one had placed a bid after mine – it seemed that this little old book “had my name on it”, so to speak. About to click over to “Pay Pal” and up popped an advertisement, of the eBay kind, advising of another old Cookery Book which was a “Buy Now” offer. What could I do, eh? Another old dear quietly saying, “Looka me!!!”. I looked: it was a 1939 South Australian Education Department text book with the title, “MANUAL of DOMESTIC ART (COOKING)”. Within the blink of an eye I’d clicked on the “Buy Now” button and was immediately the anticipated owner of two old Cookery Books. Two old Cookery Books which woud describe the type of food our Ancestor’s ate, and the manner in which it was cooked, not to mention the addendum of “Household Tips” which was always included in Cookery Books of the past. 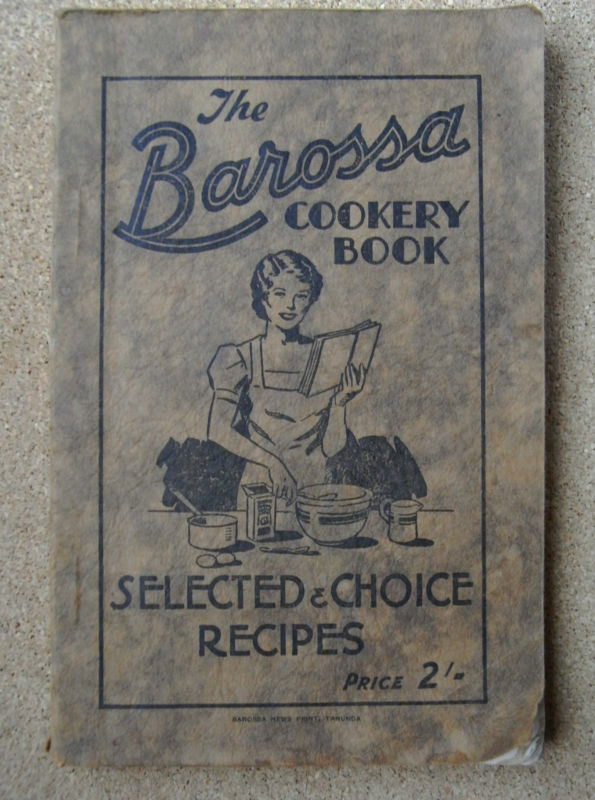 Well, it turned out that “The Barossa COOKERY BOOK” certainly was almost “…too good to be true”, in more ways than one. Along with the recipes of the first Barossa Valley settlers, my children’s Prussian Ancestor’s, comes a shameful story of intolerance, abuse and dis-crimination. A story which must be told and must be remembered. and set about working hard, re-paying their land debt to speculator, George Fife Angus, and prospered. 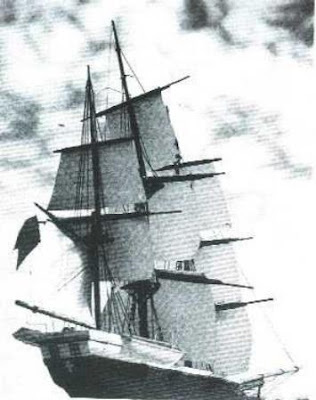 South Australia’s “German” settlers soon became highly regarded and recognised as hard working, reliable and valuable citizens and many took out Australian Citizenship within a few years of arrival… then things changed. The cause?… the First World War. Australia was an ally of Great Britain and at war with Germany. Overnight these trusted and highly regarded citizens became “the enemy”. 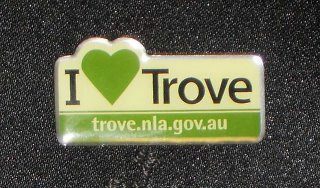 Throughout South Australia the names of these towns, settled by these Prussian / German pioneers, were anglicized. Bethanien was no ex-ception. It was renamed Bethany which still stands today. How I love reading the recipes and might even try a few 🙂 The donors clearly show their German/Prussian heritage with names like; Miss Esther Nietschke, Mrs U.R. 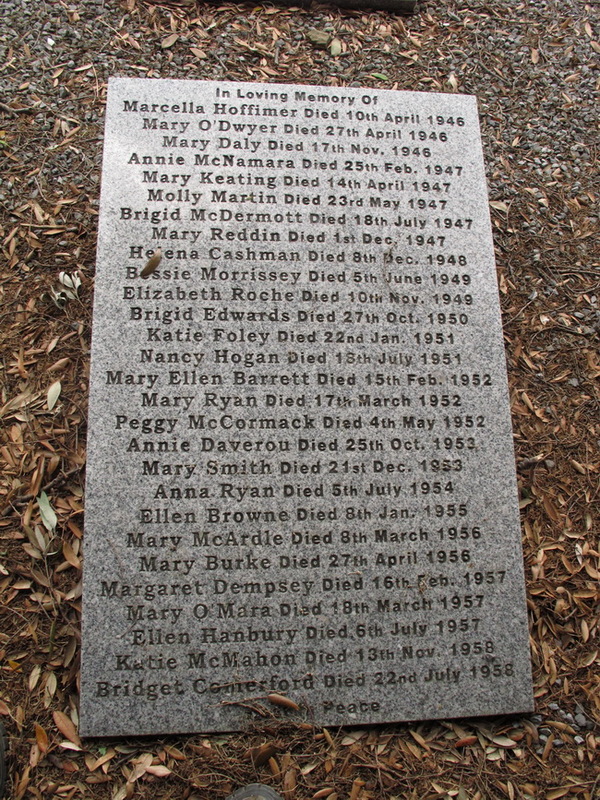 Heinze, and Gladys Spaetz, however Anglo-Celtic names also feature. I especially like that the recipe for “Scotch Shortbread” was donated by “Mrs Frank Cowan, Edinburgh Scotland” and can’t help but wonder if Mrs Frank Cowan was a Scottish immigrant within this strongly German community, and was proudly announcing her heritage, or was the recipe sent from relatives in Scotland? Cover ox tongue with water, 1 teaspoon of peppercorns, a little salt, 1/2 doz. Cloves, 2 bay leaves, 2 onion, a little carrot and parsnip. Simmer for 3 hours. Strain it and skin the tongue and cut into slices. Mix in saucepan 2 tablespoons butter with 3 tablespoons flour, stir until it browns and then add the stock the tongue has been boiled in. Add a little milk extract if liked. Salt, pepper and nutmeg to taste. Add enough stock to make it a nice thickness, then add about 2 tablespoons of sweet wine, then add tongue. Simmer for about 20 minutes. 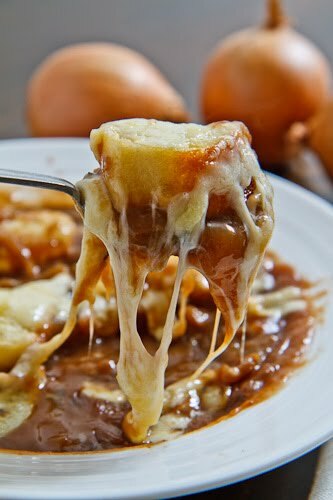 Serve with small squares of pastry or toast. This recipe was chosen mainly because of its donor, S. Seppelt from Seppeltsfield. Seppeltsfield is, of course, both location and name of the famed “Seppeltsfield Winery” of South Australia. I’m guessing that this S. Seppelt was probably born about 1880-1890 and can’t help wondering where he/she fits into the Family History of the Seppelts of Seppeltsfield, Barossa Valley, South Australia. 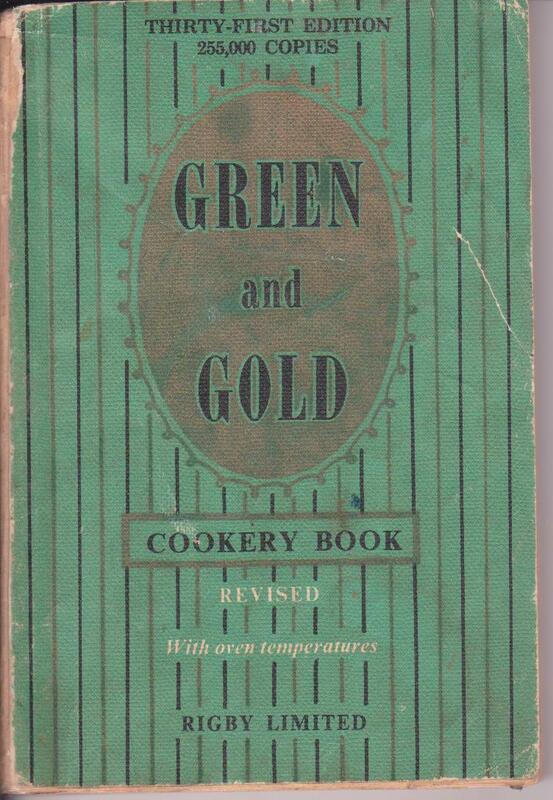 A modest little old Cookery Book, picked up on E-bay “for a song”, and carrying so much history. I’m still smiling about this “Fabulous Find from afar”. IN ADDRESSING the members of the Fruitgrowers and Market Gardeners Association on Wednesday, the Minister of Agriculture (Hon T. Pascoe) remarked that the scientists stated that Australian people ate too much animal food. He thought the association would be conferring a great benefit on the community if it could encourage a more liberal consumption of wholesome ripe fruit. 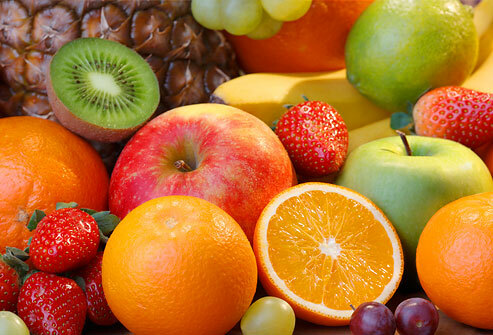 If the public increased their expenditure on fruit, he believed they would effect a reduction in the doctors’ bills. In the matter of public health the fruit industry was of great vaue to the community. I’m enjoying tucking into my Favourite Festive Food … Hot Cross Buns … and musing over the confusion surrounding this yeasty, spicy treat. The origin of this English custom, brought to Australia by the first settlers and embraced by following generations, is not entirely clear. In many historically Christian countries, the buns are traditionally eaten hot or toasted on Good Friday, with the cross seen as a symbol for the Crucifixion. Some, however, believe the Christian church adopted Hot Cross Buns during their early missionary efforts to pagan cultures and re-interpreted the “cross”, which adorns the bun, to the cross on which Jesus sacrificed His life, as they have done with many other Easter activities. It is said that buns marked with a cross were eaten by Saxons in honour of the goddess “Eostre“, with the cross thought to symbolise the four quarters of the moon. 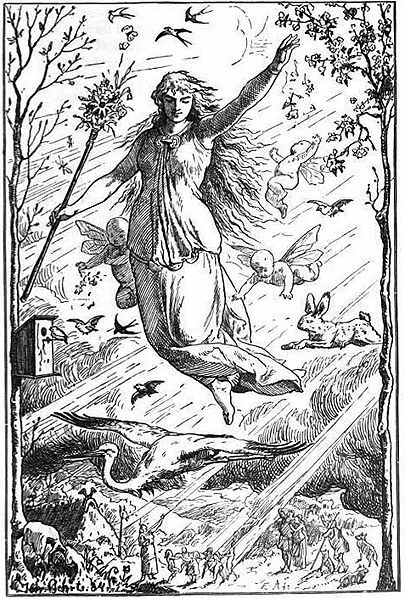 “Eostre” is believed to be the origin of the name “Easter”. Still others claim that the Greeks marked cakes with a cross, much earlier, and possibly to make it easier to break apart. To the ancient Aztects and Incas buns were considered the sacred food of the gods, and the Romans believed the cross represented the horns of a sacred ox. The word “bun” is derived from the ancient word “boun”, used to describe this revered animal. 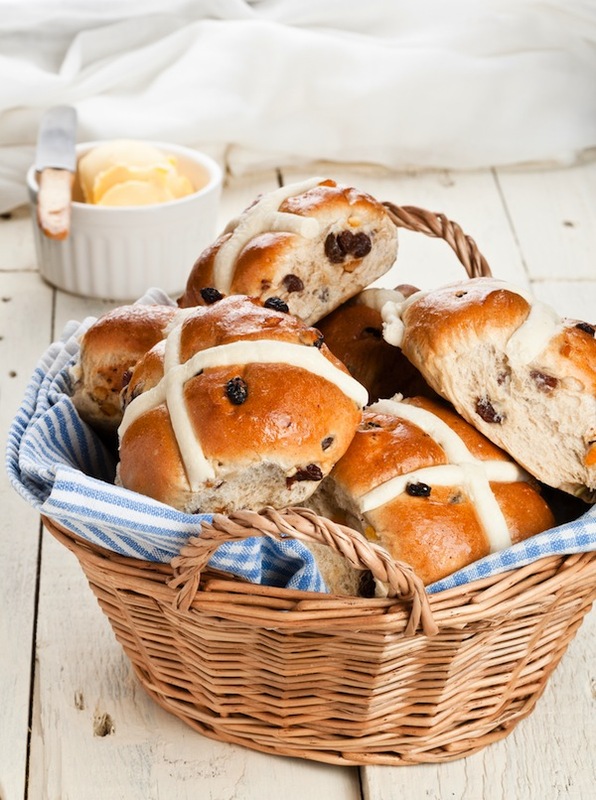 Some historians date the origin of Hot Cross Buns back to the 12th century when an Anglican monk was said to haves placed the sign of the cross on the buns to honour Good Friday, known at that time as the “Day of the Cross”. Yet another more recent theory ties the tradition of the buns to a monk in 14th century St Albans who is said to have distributed spiced cakes to the needy on Good Friday. Still further references tie them only into the Easter tradition from the Elizabethan era. It is said that during the reign of Elizabeth I, when Roman Catholicism was banned, making the sign of the cross on the buns was regarded as popery. 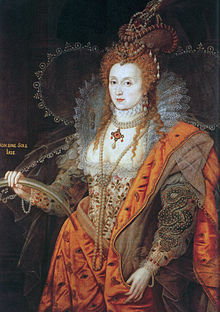 It was also believed that they were baked from the dough used in making the communion wafer, so Elizabeth I passed a law permitting bakeries to sell them but only at Easter and Christmas. Whatever their origins, there were certainly ideas associated with these buns which could be regarded as superstitions. 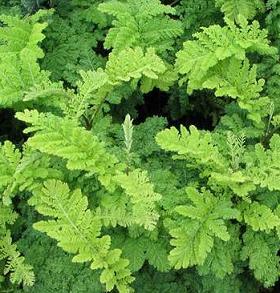 In the Middle Ages, they were believed to have powers of protection and healing. People would hang a Hot Cross Bun from the rafters of their homes for protection throughout the coming year. If hung in the kitchen, they were said to protect against fires and ensure that all breads turned out perfectly. The hanging bun was replaced each year. It was also believed that buns baked, and served, on Good Friday would not spoil or become mouldy throughout the coming year and such a bun would be kept for medicinal purposes. If someone was sick some of the dried bun would be ground into powder, mixed in water, and administered. A person was said to often recover quickly simply by eating a small piece of the bun. was said at the time. Because of the cross on the buns, some said they should be kissed before eaten. If taken of a sea voyage, Hot Cross Buns were believed to protect against shipwreck. Other old Easter customs, like the tansy (a bitter herb flavoured cake) and fig porridge have died out. “In the hot cross bun, you do have a surviving fossil of these customs,” says food historian Ivan Day who runs the “Historic Food Website”. “It can not be proven, but the provenance of the buns may be more connected to Jewish passover – with its sharing of unleavened bread as part of a wider ritual – than Roman, Saxon or pagan customs”. This simple piece of spiced bread decorated with a cross, whilst not an extravagant treat, is a global food tradition which stretches way back in history. A thought which gives a little tingle of pleasure, every Good Friday, as I wipe the butter from my chin and reach for another Hot Cross Bun.